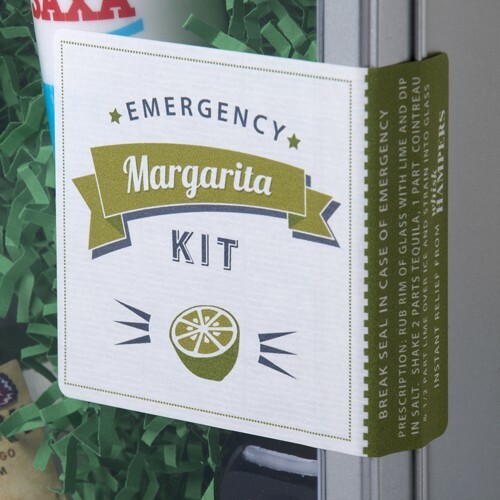 If you know a party-person who loves Cocktails, just imagine their delight when they are transported to a jumping Tijuana Night Spot with their very own Emergency Margarita kit. 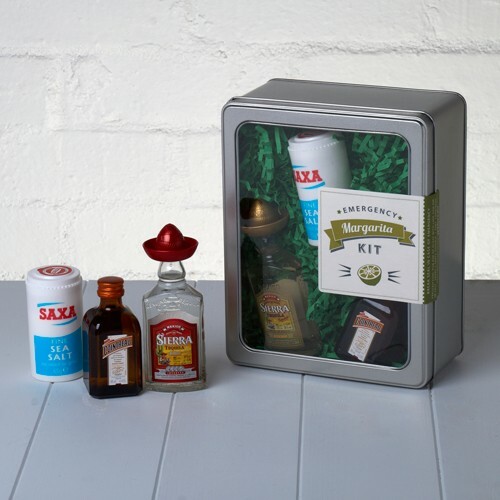 Our 'instant Margarita' makes a unique present for a Cocktail Lover on so many diverse occasions - from a family member or friend's Birthday, as a great way of saying Congratulations, Thanks, Well Done or even just 'Thinking of You…'. 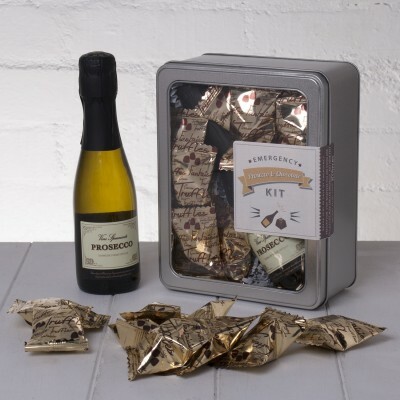 They also make ideal Party Favours or gifts for Hen & Stag Dos. Is there any problem a well-mixed cocktail can't solve? 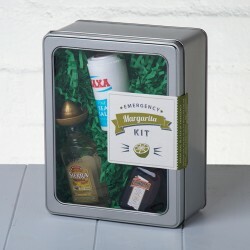 All the lucky recipient has to do in their time of need is break the seal on the tin and a classic Margarita cocktail is minutes away. 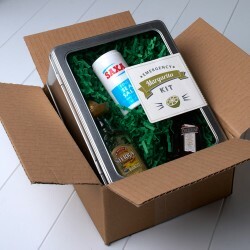 However, we know that not everyone will succumb to temptation, instead keeping the fun tin on display to raise their spirits - and each time they look at it they be reminded of you and how good you are at choosing unusual gifts. The Emergency Margarita Kit includes Sierra Tequila, Cointreau and Fine Sea Salt - just add Lime! (for that authentic salted rim, just wipe the rim with lime juice before pressing on a saucer of sea salt). Presented in a sleek metal tin (with a clear window to show off the contents), lined with colourful green shred and finished with a 'Break Seal in Case of Emergency' label (complete with instructions for mixing the perfect Margarita). You can even add a personal message and specify delivery direct to the lucky recipient.